Souvenirs are like the other end of a string that connects you to a moment in your past that you never want to forget. You buy them for their future ability to transport you back to a place, a trip, a person, or a moment. 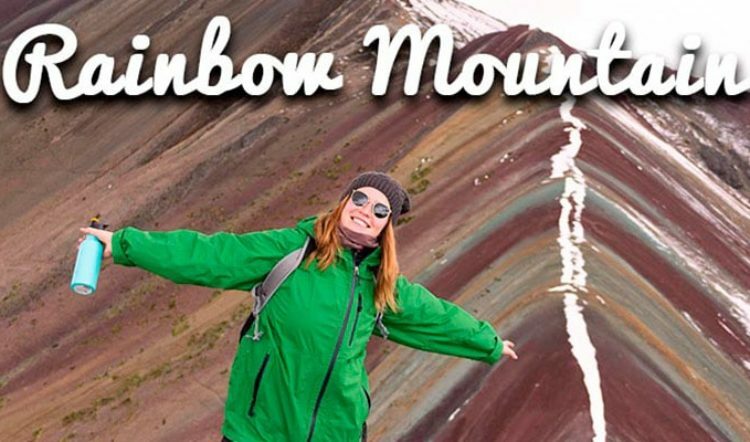 Traveling to Peru is likely to be one of those experiences you’ll never want to forget. So, in the spirit of thinking ahead (it’s what we do as bespoke travel designers after all! 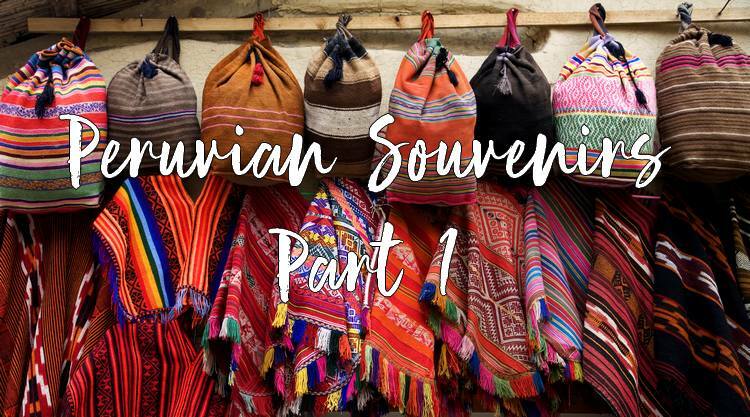 ), we’ve pulled together a suggested list of Peruvian souvenirs that will connect you to the people and places you’ll meet along the way. We’ve even thrown in a bit of backstory to give even more dimension and value to each one of these unique and regional souvenirs. For a Peruvian souvenir that provides essential income to Lima’s poorest families, the arpillera is a great choice. 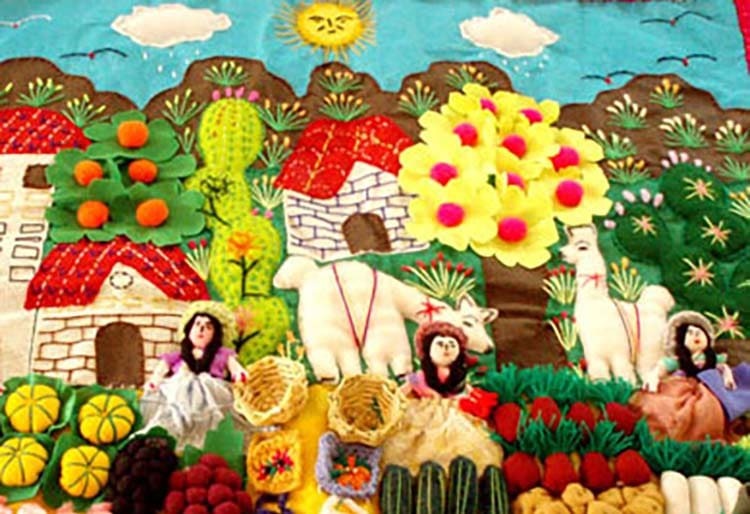 Women in the shantytowns of Lima create these three-dimensional fabric collages as a way to put their children through school or to make a living after having been displaced from their life in the mountains. Each arpillera tells a story about the customs and culture of the women who created it – be it market day in the mountains or the annual potato harvest. 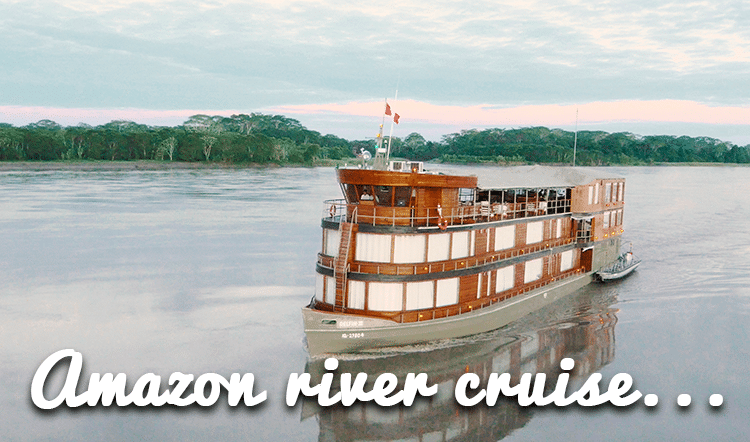 Traveling to the Amazon during your tour of Peru? The jungles of Puerto Maldonado are home to several native indigenous tribes who craft an assortment of interesting artisanal goods made from plants, fiber, seeds, and roots from the jungle. 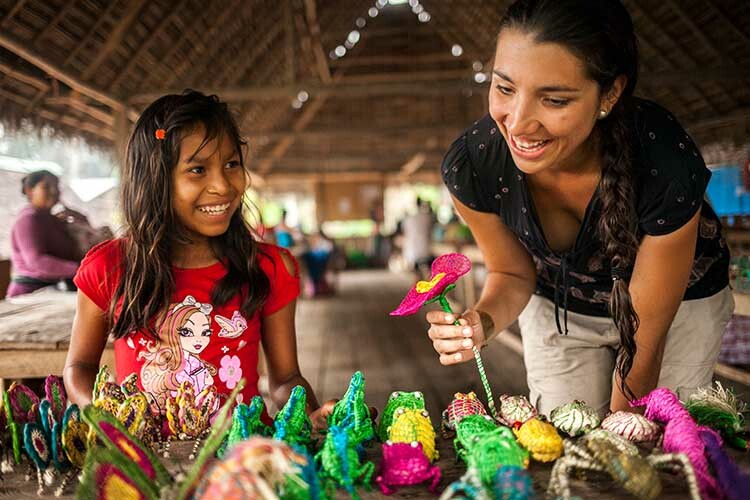 Shop their handmade baskets, bracelets, fans, and bags made of dried and braided wild lianas and other jungle materials. 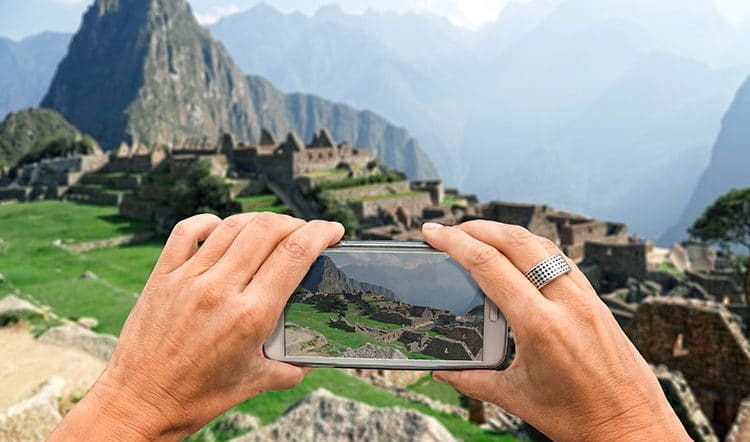 It’s a Peruvian souvenir that not only connects you to your Peruvian Amazon tour, but to the native indigenous communities that pre-date even the Spanish colonization of Peru. While pisco and tejas aren’t exactly long-lasting souvenirs, they are a savory way to relive your Peru trip once you’re back at home. 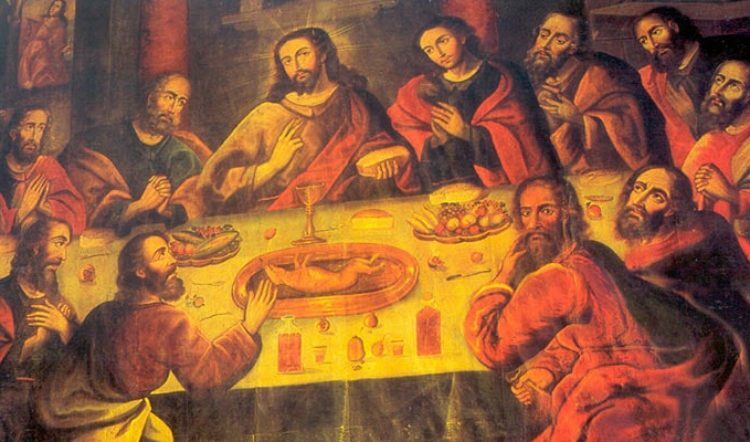 Both pisco, Peru’s national liqueur, and tejas, a chocolate-coated confection, are products of the Ica region, meaning if you’re headed to the coast of Paracas, the dunes of Huacachina, or the geoglyphs of Nazca, a selection of pisco and tejas will surely be lining shelves at stores and market stalls. Stock up on both. Your future post-trip self will thank you when there’s still a manjar blanco teja to dig into after dinner or a pisco sour cocktail to enjoy over trip tales with friends. Where to Buy Pisco & Tejas: Any market or corner store across the Ica region is likely to have both in stock.You can also buy pisco directly from the distilleries throughout Ica. 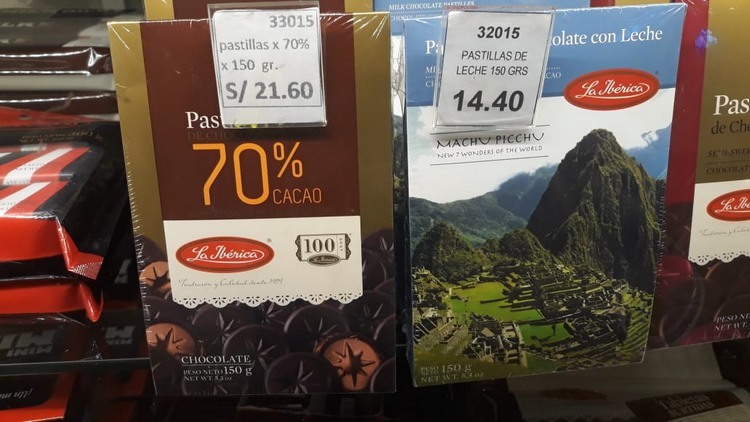 Again, not an everlasting souvenir to add to your collection, but La Iberica chocolates should be at the top of your Arequipa souvenir list. La Iberica was founded in 1909 in “The White City” by Spanish immigrant Juan Vidaurrázaga. 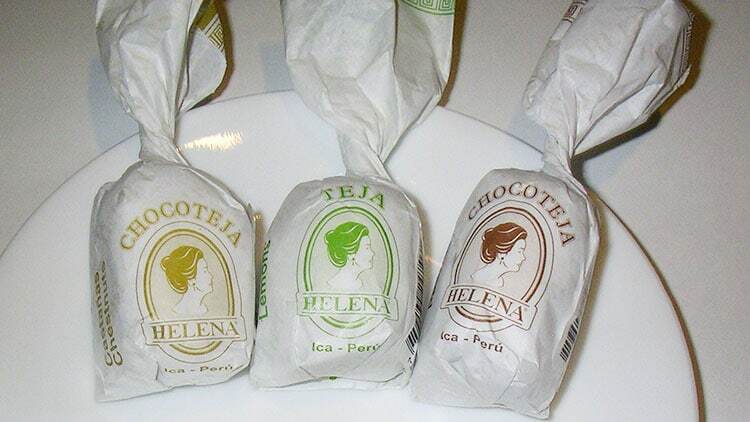 His family continues to manage the chocolate factory that has become the pride and joy of Arequipeños. Their plethora of shops scattered through town are stocked with walls and cases of truffles, bars, toffees, and turrones. You may have noticed we’re missing a few popular Peru cities on this list. Stay tuned for Part 2!